Does your or a loved one’s snoring keep you from getting a good night’s sleep? Snoring is a common habit, and one that most people assume is harmless, if a little annoying for bed partners. While this is true in some cases, other instances may be a symptom of a much more serious problem: sleep apnea. Sleep apnea is characterized by a partial or full blocking of the airway during sleep, which leads to a pause in breathing and causes the brain to signal for you to wake up and readjust. While many patients don’t even remember these moments, they can happen hundreds of times each night, relentlessly interrupting your sleep. This decreases the amount of air you breathe in and can lead to damages of your cells from the lack of oxygen. More severe cases of Sleep Apnea can lead to increased risk of heart attack, diabetes, memory loss, stroke, mood disorders and erectile dysfunction. 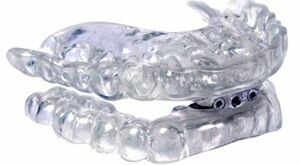 Luckily, most forms of sleep apnea can be successfully managed by a comfortable and easy to use oral appliance that helps maintain an open airway while you sleep. 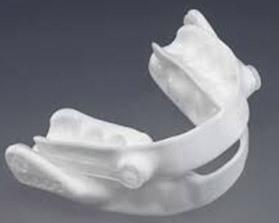 This will improve your breathing and reduce or eliminate snoring. Another common treatment is the usage of a breathing mask (CPAP) device that keep a constant airflow. 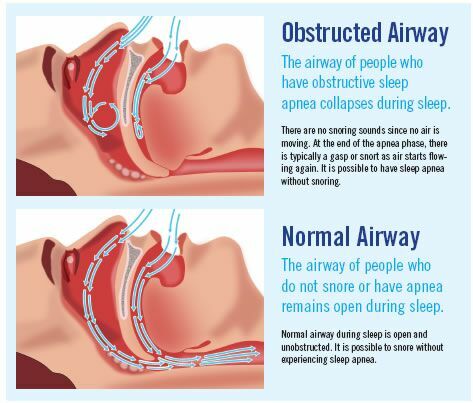 Sleep Apnea is a serious condition, and should never be ignored. If you or anyone in your family is experiencing these symptoms, please come in for a consultation. If necessary, we offer a take-home sleep test so your sleep habits can be monitored in the comfort of your own home. Solving Sleep Apnea issues can be easier than you think, and you (and your loved ones) will be glad you called us! Aren’t you ready for a good night’s sleep? Contact Annigan Dental today if you have any questions about our sleep apnea treatment, or if you’d like to schedule an appointment for you or a loved one. Dr. Henry Hsue and the rest of our team look forward to welcoming you and ensuring that you receive the personalized, highly skilled care you deserve with the help of our high-tech office. Located in Bothell, WA, we also serve the areas of Woodinville, Kingsgate, Lake Forest Park, Kenmore, and beyond.